GET READY TO SUBMIT YOUR BEST FAN ART FOR HATSUNE MIKU AND YOUR FAVORITE CRYPTON CHARACTERS! SUBMIT YOU FAN MERCHANDISE FOR THE CHANCE TO HAVE IT OFFICIALLY LICENSED AND PRODUCED! SUBMIT YOUR WARFRAME FAN ART MERCHANDISE CONCEPTS HERE FOR A CHANCE TO WIN IN-GAME PRIZES AND EARN COMMISSION ON SALES! SUBMIT YOUR STAR TREK FAN ART HERE FOR A CHANCE TO HAVE YOUR DESIGNS ON OFFICIALLY-LICENSED MERCHANDISE! SUBMIT YOUR DUNGEONS & DRAGONS FAN ART HERE FOR A CHANCE TO HAVE YOUR DESIGNS ON OFFICIALLY-LICENSED MERCHANDISE! WANT TO SEE YOUR DESIGN IN THE HOMESTUCK FANDOM AND MAKE SOME SWEET DOUGH?! ENTER AS MANY DESIGNS AS YOU WOULD LIKE RIGHT HERE! TODAY IS MIRACULOUS! SUBMIT YOUR FAVORITE DESIGNS FOR LADYBUG, CAT NOIR, FRIENDS AND FOES TO EARN COMMISSION AND MORE HERE! SUBMIT YOUR BEST SHOVEL KNIGHT FAN ART HERE! 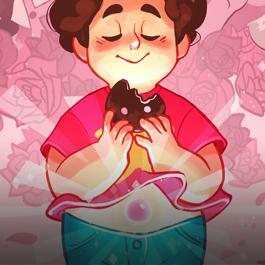 SUBMIT YOUR BEST STEVEN UNIVERSE FAN ART HERE! SUBMIT YOUR MONSTER PROM FAN ART HERE FOR A CHANCE TO HAVE YOUR DESIGNS ON OFFICIALLY-LICENSED MERCHANDISE!